Stumped by the Bust In the slump of a cycle, businesses that were thriving begin to experience difficulties or go under. They do so not because of firm-specific entrepreneurial errors but rather in tandem with whole sectors of the economy. People who were wealthy yesterday have become poor today. 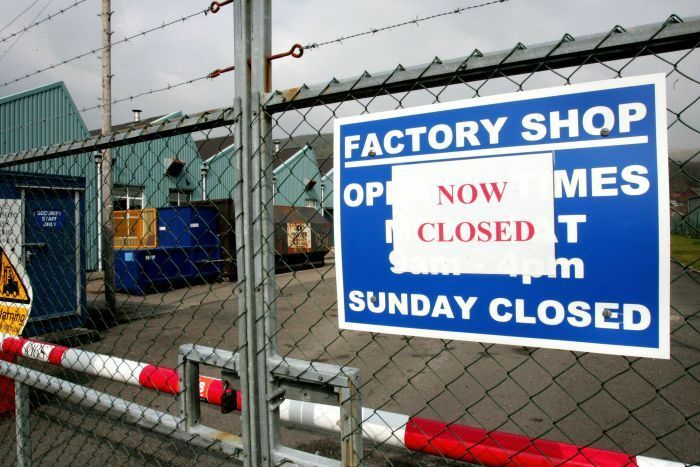 Factories that were busy yesterday are shut down today, and workers are out of jobs. What has caused the bust? The modern-day economic orthodoxy continues to be unable to provide a tenable and sound explanation for the business cycle phenomenon. Such an explanation does exist though. Photo credit: Carl de Souza / AFP / Getty images Businessmen themselves are confused as to why. They cannot make sense of why certain business practices that were profitable yesterday are losing money today. Bad business conditions emerge when least expected — just when all businesses are holding the view that a new age of steady and rapid progress has emerged. In his writings, Ludwig von Mises argued against the prevailing explanation of the business cycle consisting of over-production and under-consumption theories, and critically addressed various theories that depended on vague notions of mass psychology and irregular shocks. In the psychological explanation, an increase in people’s confidence regarding future business conditions gives rise to an economic boom. In the slump of a cycle, businesses that were thriving begin to experience difficulties or go under. They do so not because of firm-specific entrepreneurial errors but rather in tandem with whole sectors of the economy. People who were wealthy yesterday have become poor today. Factories that were busy yesterday are shut down today, and workers are out of jobs. What has caused the bust? The modern-day economic orthodoxy continues to be unable to provide a tenable and sound explanation for the business cycle phenomenon. Such an explanation does exist though. In his writings, Ludwig von Mises argued against the prevailing explanation of the business cycle consisting of over-production and under-consumption theories, and critically addressed various theories that depended on vague notions of mass psychology and irregular shocks. In the psychological explanation, an increase in people’s confidence regarding future business conditions gives rise to an economic boom. Conversely, a sudden fall in confidence sets in motion business stagnation. Now, there can be no doubt that during a recession people are less confident about the future than during good times. But to observe this is not to explain it. Likewise, theories that view various shocks and disruptions as the central cause behind boom-bust cycles do not advance our knowledge regarding the boom-bust cycle phenomenon. Neither explains how the boom and bust come about, or why they are of a recurrent nature. To arrive at a correct explanation, Mises held, we need to trace the change in business conditions back to previously established and identified phenomena, and that is precisely what these theories do not do. Hence Mises concluded that all these theories do not provide an explanation but rather describe the phenomenon in a different way. Mises also held that various statistical and mathematical methods are another way of describing, but not explaining events. Statistical methods make it possible to generate charts of data fluctuations but they do not improve on our knowledge of what causes the fluctuations. 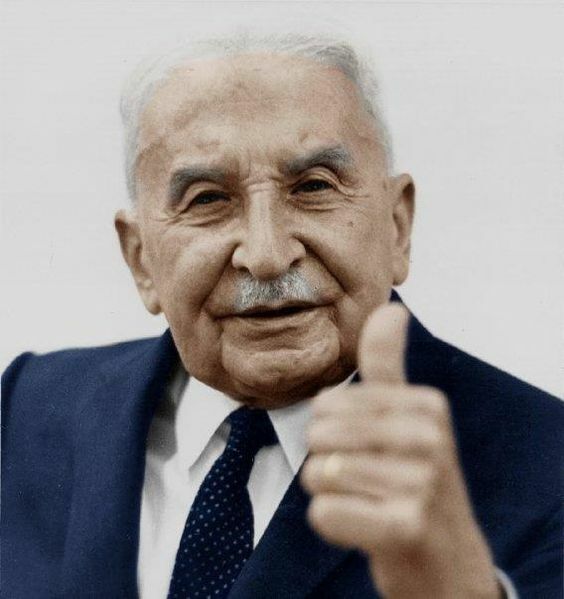 A thumbs-up from Ludwig von Mises. Mises dissects the fallacies of non-monetary business cycle theories in Human Action. He inter alia points out that opponents of the monetary theory of the trade cycle have been unable to forward tenable arguments refuting it. Mises concludes that the propagation of non-monetary business cycle theories is primarily driven by political rather than scientific considerations. The goal is to arrive at the predetermined conclusion that the market economy needs to be “rescued” by government intervention and central planning. “Commodity Credit” or “Circulation Credit”? Mises made a distinction between credit that is backed by savings, and credit that does not have any backing. The first type of credit he labeled commodity credit the second he labeled circulation credit. It is circulation credit that plays the key role in setting the boom-bust cycle process. Consider a producer of consumer goods who consumes part of his produce while saving the rest. In the market economy, our producer could exchange the saved goods for money. The money that he receives can be seen as a receipt as it were for the goods produced and saved. The receipt is his claim on the goods. He can then make a decision to lend the money to another producer through the mediation of a bank. By lending the money of the original saver, the lender transfers his claims on real savings to the borrower. The borrower can now use the money — i.e., the claims — and secure consumer goods that will support him while he is engaged in the production of other goods (say tools and machinery). In an unhampered market economy, borrowers are users of savings who make sure that savings are employed in the most efficient way: generating profits. This means that real savings are employed in accordance with consumers’ most important priorities. We can thus see here that as long as banks facilitate commodity credit, they should be seen as the agents of wealth generation. In contrast, whenever banks embark on the lending of circulation credit they in fact become the agents of real wealth destruction. As opposed to commodity credit, circulation credit is not supported by any real saving. This type of credit is just an empty claim created by banks. In the case of commodity credit, the borrower secures goods that were produced and saved for him. This is, however, not the case with respect to the circulation credit. No goods were produced and saved here. Once the borrower uses the unbacked claims, it is at the expense of the holders of fully backed claims. In this way, circulation credit undermines true wealth generators. Now, as a result of an increase in the supply of circulation credit money market interest rates fall below the natural rate, that is, the rate that would be established by supply and demand if real goods were loaned directly in barter without the use of money (in his later writings, Mises referred to the natural rate as the rate that would be established in a free market). This chart compares the true broad money supply TMS-2 (black line) to the sum of currency (circulating currency + vault cash) and bank reserves. Currency (bank notes and coins) represent “standard money” in a fiat money system. Bank reserves are deposited with the Fed and are not considered part of the money supply; in a fractionally reserved banking system they serve as the basis for the extension of circulation credit by commercial banks. However, they can be exchanged for currency (they represent the cash assets of banks and when depositors withdraw deposit money in the form of cash, banks can transform reserves into cash to effect payment) – in other words, together with vault cash, they serve as the “standard money backing” of a portion of the deposit liabilities of banks. Putting it differently, reserves back a fraction of outstanding money substitutes and these are therefore considered covered money substitutes. Thus, everything between the red and black lines represents uncovered money substitutes or fiduciary media. These fiduciary media roughly equal the amount of circulation credit in the economy – click to enlarge. As a result of the artificial lowering of interest rates, businesses undertake various new capital projects to expand and lengthen the production structure. Prior to the lowering of interest rates, these capital projects didn’t appear to be profitable. Now, however, as money market rates are kept below the natural rate, economic activity zooms ahead and an economic boom emerges. 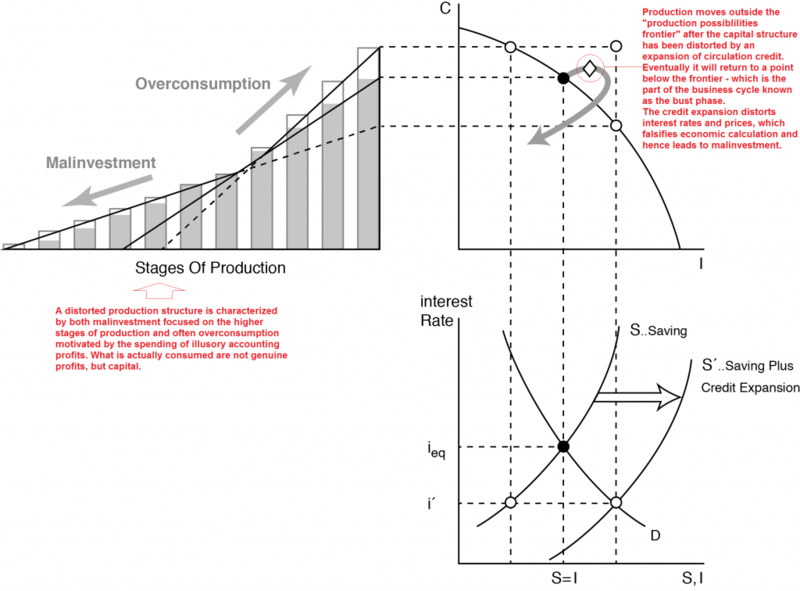 The forced lowering of interest rates bring into being production processes that would not be undertaken otherwise. A production structure is now created that produces goods and services that consumers in fact cannot afford. Instead of using the limited pool of the means of sustenance to make tools and machinery that will generate consumer goods on the highest individual priority list, the means of sustenance are wasted on capital goods that are geared towards the production of low-priority consumer goods. At some point, the producers of such goods will discover that they cannot make a profit or even complete their plans. What we have here is not over-investment but misdirected investment or malinvestment. An inter-temporally distorted production structure is established following an expansion of circulation credit (image adapted from Roger Garrison’s “Time and Money: The Macroeconomics of Capital Structure”). Production, consumption and saving/investment are no longer in balance, as investment decisions fail to properly reflect consumer time preferences. Such a capital structure is not sustainable and eventually must fall prey to a bust – click to enlarge. The expansion of the production structure takes time and the limited subsistence fund may not be sufficient to support the expansion of the capital structure. If the new flow of the production of consumer goods does not emerge quickly enough to replace currently consumed consumer goods, the subsistence fund comes under pressure. At some point in time, banks discover that marginal businesses are starting to under-perform. This causes them to slow-down the expansion of circulation credit, which in turn puts an upward pressure on interest rates. As a result this starts to undermine various other business activities (non-marginal), and can often be the precipitating event that leads to an economic bust. Mises wrote that the bust phase of the business cycle process could be precipitated by other events. 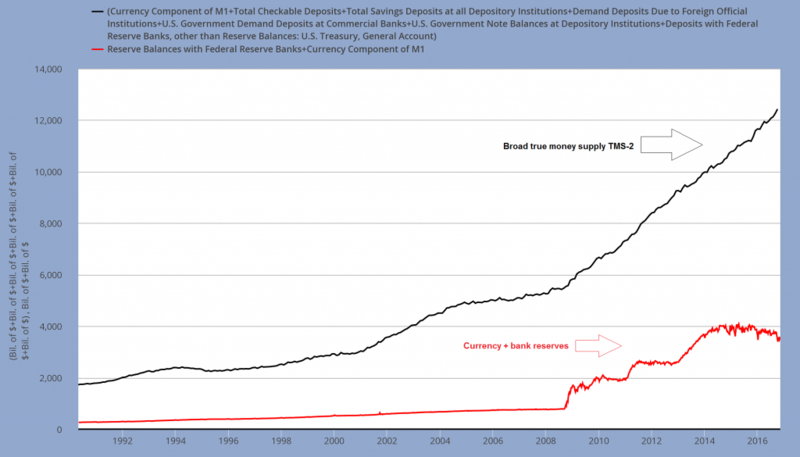 The expansion in the money supply enriches the early receivers of money. Those individuals who have now become wealthier as a result of receiving the money may alter their pattern of consumption. This may force businesses to adjust to this new setup. Once the rate of expansion in money slows down or comes to a halt, the new pattern of consumption cannot be supported and the new capital structure that was erected becomes unprofitable and must be abandoned. 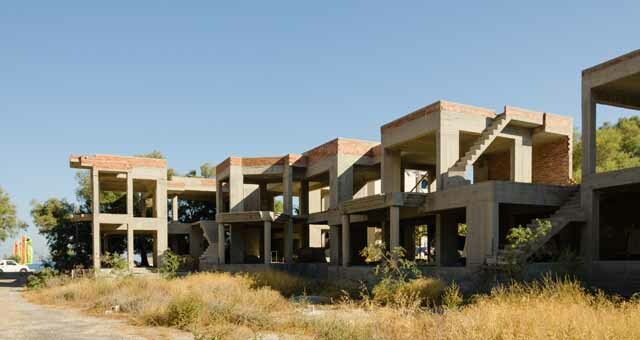 Unfinished buildings in Greece. When a boom collapses, one will often see such left-overs: office buildings, residential buildings, factories, shopping malls, etc., that could not be finished as the real resources necessary to fund their completion never existed. Spain was littered with such “ghost developments” after its boom turned to bust in 2007/8. It is not surprising that Mises was strongly opposed to the idea that central banks should impose “low” interest rates during a recession in order to keep the economy going. Instead, he believed that policymakers should not engage in the artificial lowering of interest rates, but rather refrain from any attempts to manage the economy via monetary policy. By curtailing its interference with businesses, the central bank provides breathing space to wealth generators and thereby lays the foundation for a durable economic recovery. Dr. Frank Shostak is an Associated Scholar of the Mises Institute. His consulting firm, Applied Austrian School Economics (AASE), provides in-depth assessments and reports of financial markets and global economies. He received his bachelor’s degree from Hebrew University, master’s degree from Witwatersrand University and PhD from Rands Afrikaanse University, and has taught at the University of Pretoria and the Graduate Business School at Witwatersrand University.